This irresistible fabric combination has been used on everything from Mason jars to bouquet handles to cakes. “The problem we have with this particular trend is that all of these weddings start to look alike. As a result, we aren’t seeing the personalization or uniqueness of the couple shine through. 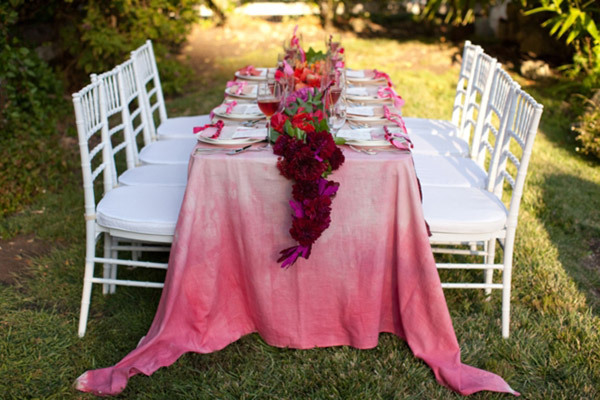 For a gorgeous variation, replacing burlap and lace with a more feminine fabric, such as chiffon or silk.